It’s time to go renegade. After all, I fought the law and last night the law won. 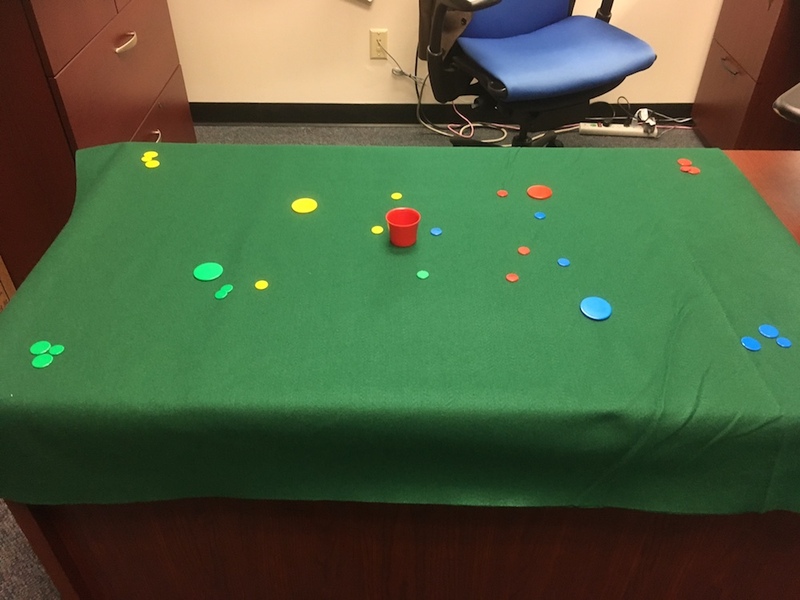 As manager, coach and occasional player in the University’s Tabletop Sports team, I had sought to continue the weapons ban at r’Asadinks Tiddlywinks Stadium, here in Office 248. The longstanding ban at school athletics facilities was turned into an annual permit request by 2017 legislation. So on March 14 I requested a gun ban permit (Word doc), going by the rules set up by the Arkansas State Police for the new laws. The main law allows for firearms on campuses, concealed carry, if their owners have the accompanying new permit, enhanced, which refers to a few hours additional training for fending off active shooters. My effort, described in the column “Stadium Security’s a Peach,” has been rejected. Besides being National Pi Day — 3-14, get it? — for this year it’s also #NationalSchoolWalkout. That’s 17 minutes outside of class for students K-12 (likely more the older grades) starting at 10 a.m. in each time zone. The purpose, according to the group Empower (organizer of the anti-hate Women’s Marches), is “to demand Congress pass legislation to keep us safe from gun violence at our schools, on our streets and in our homes and places of worship.” The 17 represents the fatalities of the shooting at Douglas High School in Parkland, Florida, exactly a month ago, Feb. 14, 2018. College students generally are not participating, outside of administrators assuring high schoolers that their civil action will not hurt their chances of admission, going by news reports — well, students at two Memphis institutions are an exception. After all, the inspiration came from the teens of the Florida high school. Yet, universities and colleges have been the sites of other senseless massacres. Like elsewhere, political leaders are either slowing these down, doing nothing or seemingly increasing the threat. About a year ago the Arkansas Legislature passed a bill to repeal the ban of weapons on campuses, allowing firearms to be carried hidden by those holding enhanced concealed carry permits. The “enhanced” is part of the 2017 legislation, adding a few hours of active shooting training. It approved another bill continuing a gun ban at athletic events and a few other locations. Collegiate sports have to request the weaponry ban, submitting a form every year to the State Police. Gov. Asa Hutchinson signed these into law, and state offices proceeded to policy making, for the finer points of enactment. 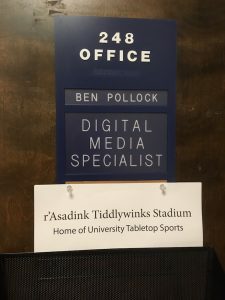 The laws got a poke in my column “Play Games at Work So No Guns” where I revealed my campus office happens to double as r’Asadink Tiddlywinks Stadium, Home of University Tabletop Sports. 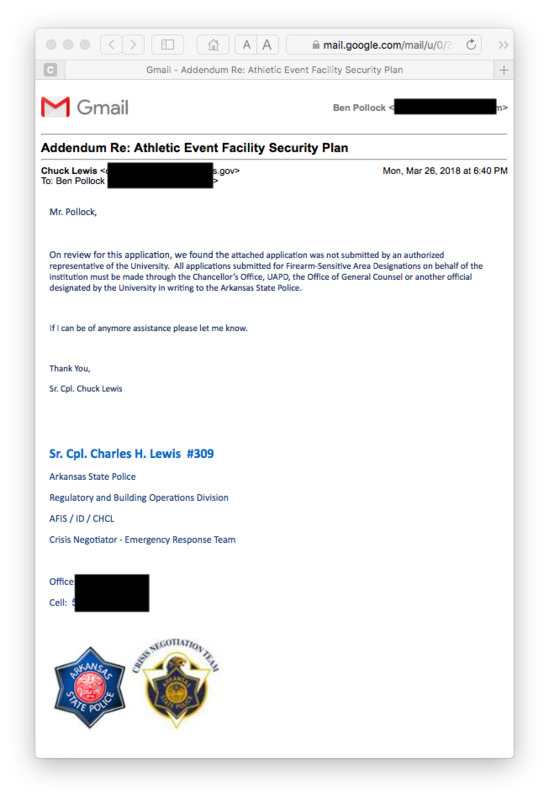 A second column, “‘Winks at Gun Ban Security Plan,” explored my arena’s answers to the points that the facility request form was to ask. 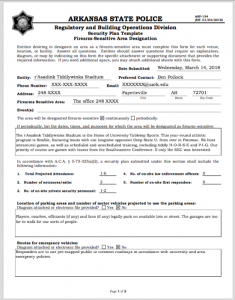 Recently the Arkansas State Police published the “‘Firearm-Sensitive’ Areas Application Information” and the “Security Plan” form. I accepted my own dare, studied the former, completed the latter and emailed it this morning to the ASP senior corporal listed. DATELINE MIRTHOLOGY — Arkansas Act 859 of 2017 became law this week, partially disarming Act 562 of 2017 from earlier in the session. I have my official gun ban request just about ready. Firearms never have had a place at tiddlywinks games, and they still won’t. Open season throughout colleges — by holders of concealed weapons permits who also have had up to eight hours of active shooter training — has been curtailed with 859 so guns are not allowed in qualifying athletic facilities. Not so fast, SEC teams. Signs proclaiming “Reynolds Razorback Stadium” or “Bud Walton Arena” are insufficient. Football’s and basketball’s showrunners have to prove they are sporting events to the Arkansas State Police once a year. As do all the other structures where sports are played. Including Suite 248, otherwise known as r’Asadink Stadium, Home of Arkansas Table Sports. Legislators listed what should be detailed in the gun ban request to the state police in Section 9. In preparing the list for r’Asadink, I as coach and caretaker found the process to be a squop, known outside tiddlywinks as a slam-dunk. Early in a recent tiddlywinks game between the U of A and Deep State at r’Asadink Stadium. Score is 0-0. (A) Total projected attendance — Capacity is limited only by how many people can crowd around the 48×24-inch felt mat, allowing room for the players of course. (B) Number of entrances and exits — 1 of each, in college-level math it’s 1 plus 1 equals 1. (C) Number of on-site private security personnel — Brought by the visiting team. (D) Number of on-site law enforcement officers — Another new state law — curtailing the transparency ensured by the FOIA — keeps me from divulging details on campus police. Also, this Act 859 states, “A security plan submitted under this section is exempt from public disclosure under the Freedom of Information Act of 1967.” Am I breaking the new law by sharing my security plan? Uh-oh. (E) Number of on-site first responders — Red Cross CPR card holders get in free. (F) Location of parking areas and number of motor vehicles projected to use the parking areas — Fans convey themselves along halls, stairs and elevator. Just like the entire university community, how they get here is their problem. (G) Routes for emergency vehicles — Squad cars and paddy wagons need parking stickers. DATELINE MIRTHOLOGY — My workplace is eligible. Now that people with concealed weapon permits soon will be welcome to roam armed throughout campus, barred only at qualifying athletic events, it’s time to out my office. Entrance to Suite 248, the athletics facility for the university’s SEC championship tiddlywinks team. 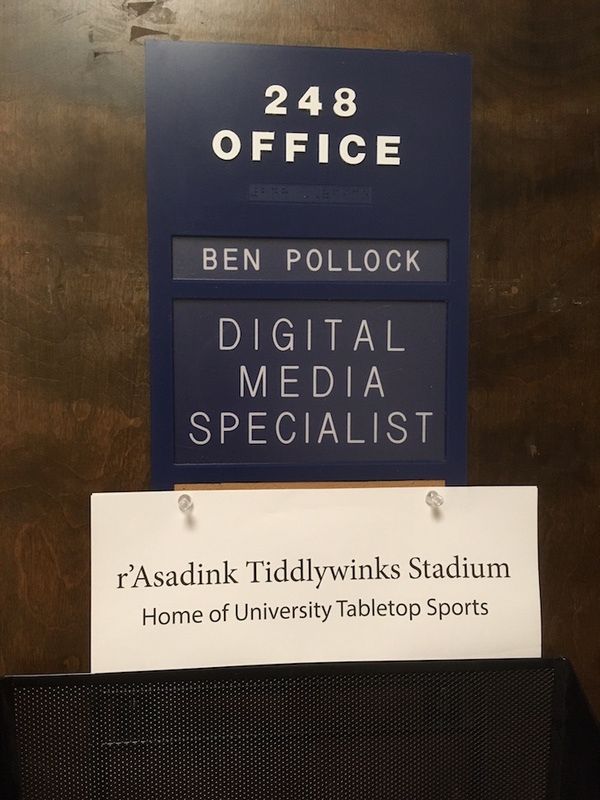 Suite 248 also houses the little known but very real r’Asadink Stadium, for tiddlywinks and other tabletop sports. It’s not only for games. The tiddlywinks and table croquet crews also practice on the 2×3-foot green felt mat in 248. The 248 test was abandoned but not forgotten, least of all by me, still on the Razorback (or was it RazorTemp?) payroll as r’Asadink table sports coach and caretaker. It’s moonlighting, outside of my full-time Web job. Here are links, annotated, mentioned in my portion of a Panel on Ethics at the 39th annual conference of the National Society of Newspaper Columnists, in Indianapolis. 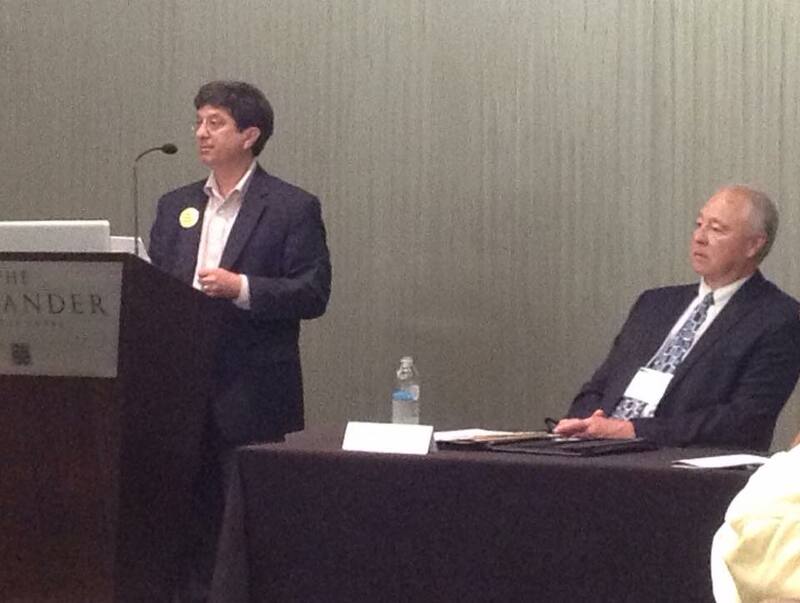 Ben Pollock (left) and Steve Key, executive director of Indiana’s Hoosier State Press Association, discuss ethics June 26, 2015, in Indianapolis at the annual conference of the National Society of Newspaper Columnists. 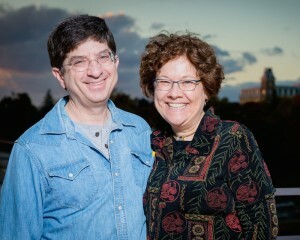 Photo by Dan St. Yves. These were prepared with the assumption the room would have a projector etc. Wrong. I had a Plan B — always have a Plan B as well as a C — so the program went well. I did not have slides but websites to show. Links to them might be of interest to those attending and others. The other panelist was Steve Key, executive director of Indiana’s Hoosier State Press Association. He is well-versed in all sorts of journalistic concerns — he’s an attorney and a former news reporter — and a clear and engaging speaker. I have a real full-time job, near ideal actually, its long title notwithstanding. 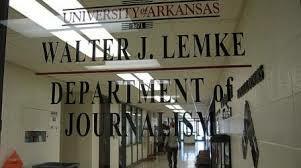 On June 12, I signed a formal offer to serve as 2014-15 Interim Assistant Director of the University of Arkansas Center for Ethics in Journalism and Instructor of Journalism. It comprises the same responsibilities and term as assistant director, without the “interim,” for which I applied back in December. Mainly, I am charged with managing the ethics center. Also, I am to redesign the center’s website then maintain it as well as oversee social media outreach. 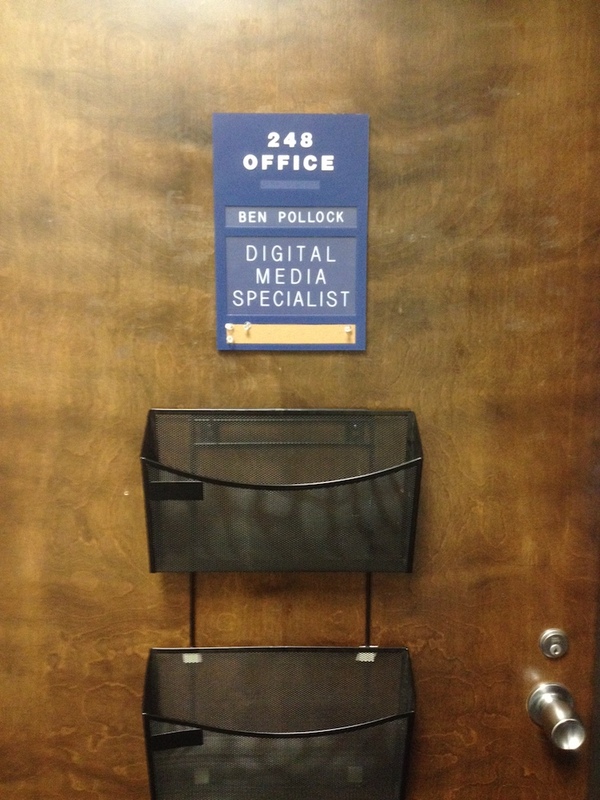 Last is teaching up to two classes for the Lemke Department of Journalism each semester. The nine-month contract is renewable. This first term, though, runs 10 months, July 15 to May 15, 2015. So, not even a month left as a full-time freelance journalist and web content guy. My “interim” status comes from how the inaugural director is an interim appointment for 2014-15. The UA Center for Ethics in Journalism began only in fall 2013 with much-honored newspaper editor and professor Gene Foreman as its first Visiting Distinguished Professor and overseen by a Lemke faculty committee. The second visiting distinguished professor has been chosen but not announced. For UA and its J. William Fulbright College of Arts and Sciences to have created the center a year ago and now dedicating to it renovated office space and professional staff including a graduate assistant is an important endorsement. Journalism ethics centers are count-your-fingers rare, making UA’s a potentially strong voice for resilient and fair journalism in America. Ben and Christy Pollock with Old Main of the University of Arkansas, Fayetteville, October 2013. Careering. Among others, I was laid off as a news copy editor / page designer some 22 months ago from the Arkansas Democrat-Gazette, Labor Day weekend 2012, in a “Reduction in Force” of the Northwest Arkansas Edition. Freelance writing, editing and web work since have been eye-opening, more successful at it than expected but still it just made scratch. I know I am writing drily. That is to contain the delirious excitement I’ve felt since being informally offered the position in late May. While no confidentiality was asked of me back in May, I refused to jump and shout until I had a contract. Continue in journalism. Dedication to journalism ethics. Website design and content. Optimize Facebook and Twitter. Close enough to bike, bus on bad days, drive in on busy ones. Teaching journalism. Indeed.